Soak cranberries or raisins in rum. Preheat oven to 175 C/350 F. Adjust rack to second lowest tier. 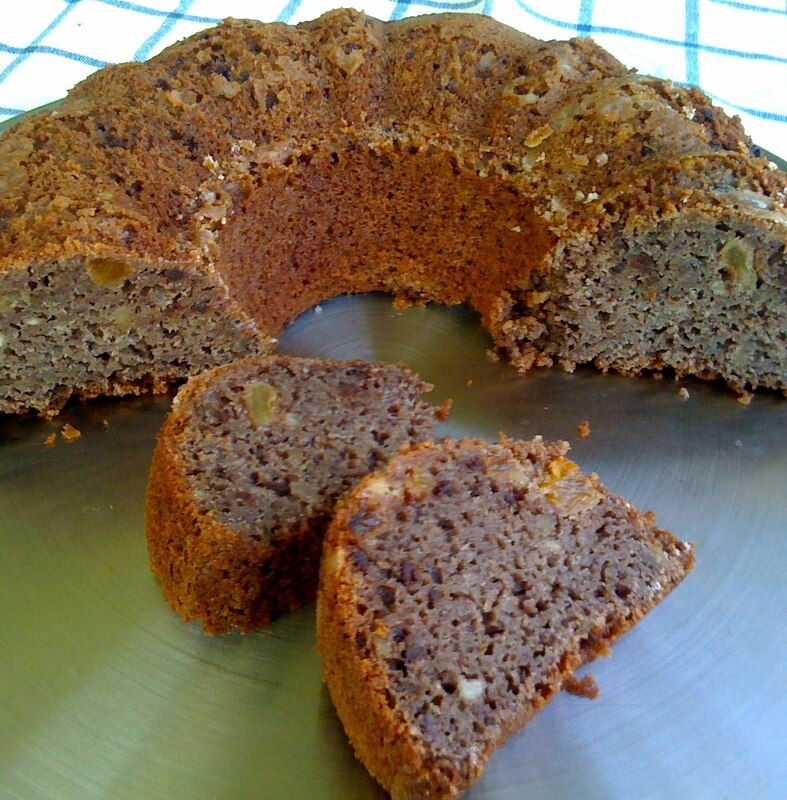 Grease and flour Bundt cake or Gugelhupf form (1 3/4 l/60 fl. oz). In food processor, grind hazelnuts together with 50 g of the flour (there may be some bigger pieces left). Sift together rest of flour, cocoa and baking powder in small bowl. Add ground nuts and stir to combine. With hand held or stand mixer, whisk butter, sugar, cinnamon and salt, until very fluffy, at least 6 minutes. Add vanilla extract and eggs, one at a time, mixing well after each addition, until mixture is very smooth and creamy. Stir in flour mixture in 3 additions, alternating with red wine, until combined. Fold in chocolate and soaked cranberries (or raisins). Fill dough into cake form, smoothing top with rubber spatula. Bake for 45 – 50 minutes, until needle comes out clean. Let cake cool in cake pan for 10 minutes, then turn out onto wire rack. Let cool completely. I adapted the recipe for “Rotweinkuchen” from “Für jeden Tag” magazine.